The Mzuzah Africa Charity Golf Tournament gives to support nonprofit organizations strengthen our communities and improve the lives of those in need. The goal of the tournament is to raise funds to support the crucial work of several charities across the region. Fun kick off at the Uturn Africa Charity Golf Tournament. Exxon Mobil; Total Golf Construction; Wisemen and Etisalat. Thanks to our media partner Forbes Africa! We appreciate you all! We get hungry before, during and after golfing...so we grab bites in between all the fun and hard play! 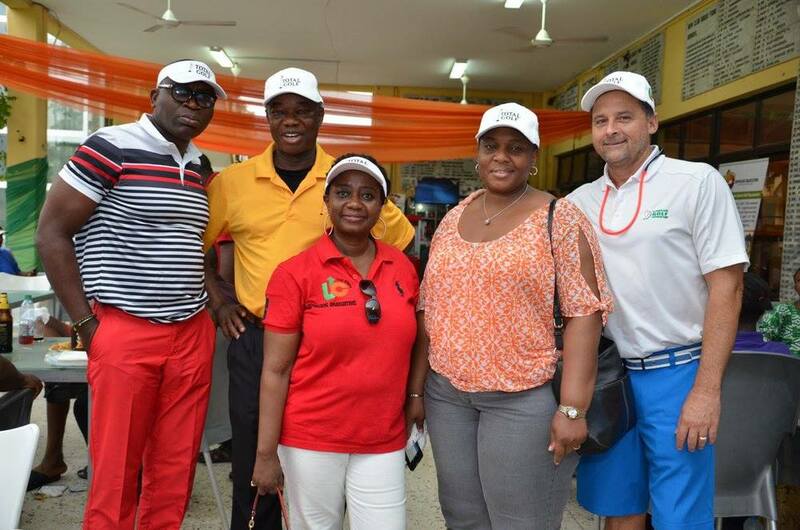 Exxon Mobil golfers were proud supporters at the Uturn Africa Charity Golf Tournament! The team's participation provided sponsorship for our charity recipients! Thank you Exxon Mobil Golfers! One of the recipients of the charity donations from the golf tournament was the Street Child Care & Welfare Initiative! More information about our past charity recipients can be found here. This amazing team from Total Golf provided sponsorship for the tournament and its recipients. Thank you Jeff, Larry and Total Golf for your support! Thank YOU Total Golf Construction!